2016 was a great year for green beauty. Retailers like Target, Ulta and Urban Outfitters picked up on the consumer demand for more natural beauty options and began stocking their shelfs with cleaner alternatives. 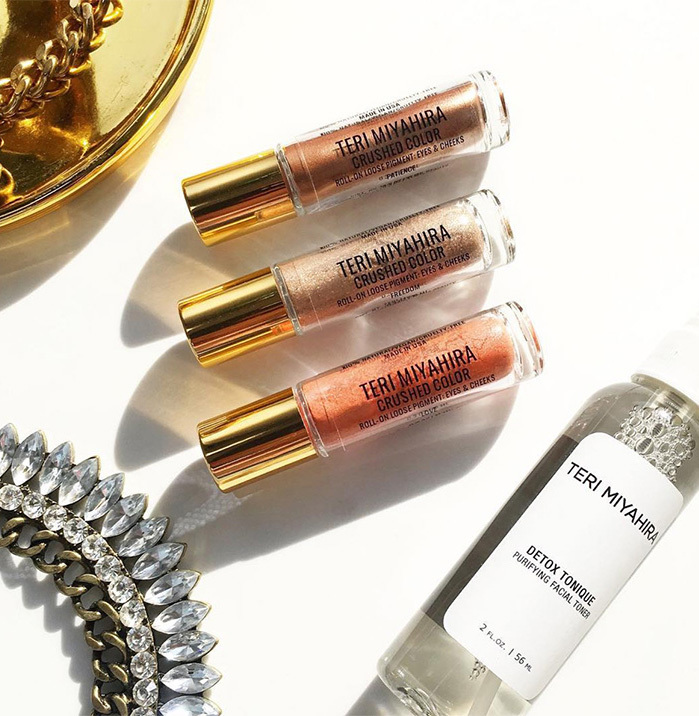 Many new green beauty brands also launched last year, including beauty guru Teri Miyahira's new product line. Even Fashion designer Mara Hoffman got in on the action and collaborated with Sephora to create a natural makeup capsule collection. With so many brands and products on the market, I made sure to test out as many products as I could. Below is a list of my tried and true favorites. 2. 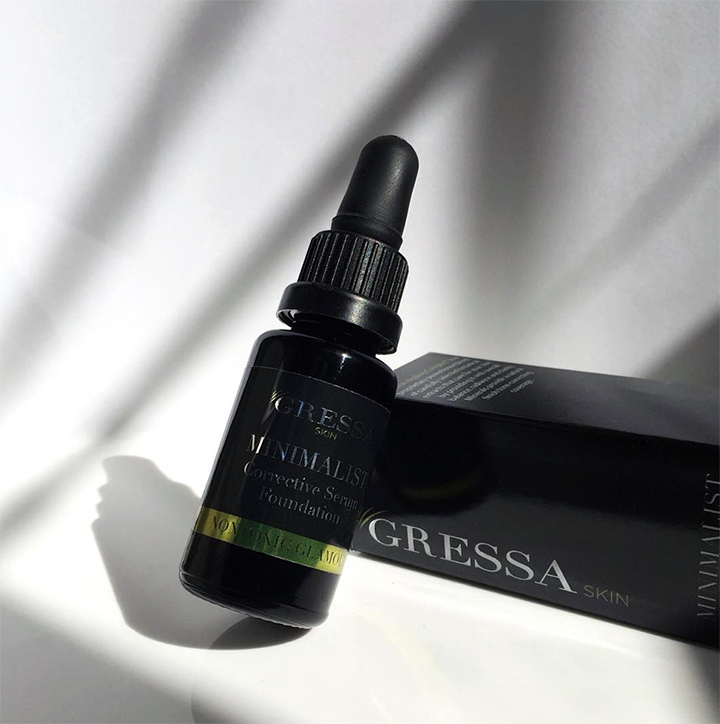 I love to use Gressa Minimalist Corrective Serum Foundation for special occasions. This foundation is unlike anything I've ever tried. It's a dry oil based formula but it feel like water when applied. Once blended the formula dries to a beautiful matte powder finish. The Corrective Serum Foundation not only provides a medium to full coverage, it also nourishes your skin while you wear it since its packed with tons of botanical extracts like licorice root and Co-Q10. I was never a fan of lip gloss. The formula's I've tried in the past were always too sticky and ulta shiny. All of that changed once I tried Gabriel Cosmetics and Hynt Beauty glosses. I love the Gabriel Cosmetics formula because it glides on smooth so it feel like you're applying a balm or lip conditioner. Plus its not to shiny and it makes your lips feel full and hydrated. 5. Hynt Beauty's formula is unique in that it feels more like an oil treatment than a traditional gloss which is why I love it. Pretty Pink Rose was recommend to me at last years Indie Beauty Expo by the Hynt Beauty makeup artist and its been in my purse every since. Green Beauty Guru, Teri Miyahira, launched her beauty company last year and it was hands down my favorite new beauty brand of 2016. Each month TM Beauty releases 3 new thoughtful created products via her subscription box service. Standouts include the highlighting dew drops, the crushed color roll on loose pigments and her eye shadow quads. I've been trying to grow my brows in for ever. Years of over plucking has left them a little spares in some areas but thanks to Cocokind Organic Full Brow Balm my brows are starting to grow in. Hallelujah! This product is made with just 5 all natural organic ingredients that promote hair growth. I like to use this at night before bed but it can also be used during the day to help keep brows in place. I have oily skin that's prone to congestion so I like to use an exfoliator on a regular basis to keep my skin clear. This scrub by One Love Organics is gentle enough to use daily plus it smells like pineapples, which I love. I like to use it in the shower after I wash my face. I leave it on while I shower then gently scrub before I rinse it off. It's made with clay so not only does it leave your skin silky smooth it also removes impurities. I first heard about this product from Brianna of Brija Cosmetics so I decided to give it ago since I'd had success taking turmeric internally. Turns out Turmeric is also great for your skin! I noticed a difference in the brightness of my skin tone once I started using Andalou Naturals Turmeric + C Enlightened Serum. This formula is super light weight and absorbs quickly so its nice to use in the morning when you need to be out the door fast. When searching for an SPF, I look for formulas that blend in easily and can be worn under makeup. Coola Mineral Sunscreen checks both those boxes for me. The mousey formula blends in effortlessly and leaves the skin with a smooth matte finish so it looks great on its own and works well as a primer under foundation. 2016 was the first year that I experimented with various body scrubs and Nubian Heritage Mango Butter Hand and Body Scrub was the winner for me. Their blend of oils, sugar and mango butter work perfectly to buff and moisturize my dull winter skin. I live in LA where the dry desert climate and hard water really do a number on my skin so it's important for me to find effective moisturizers. 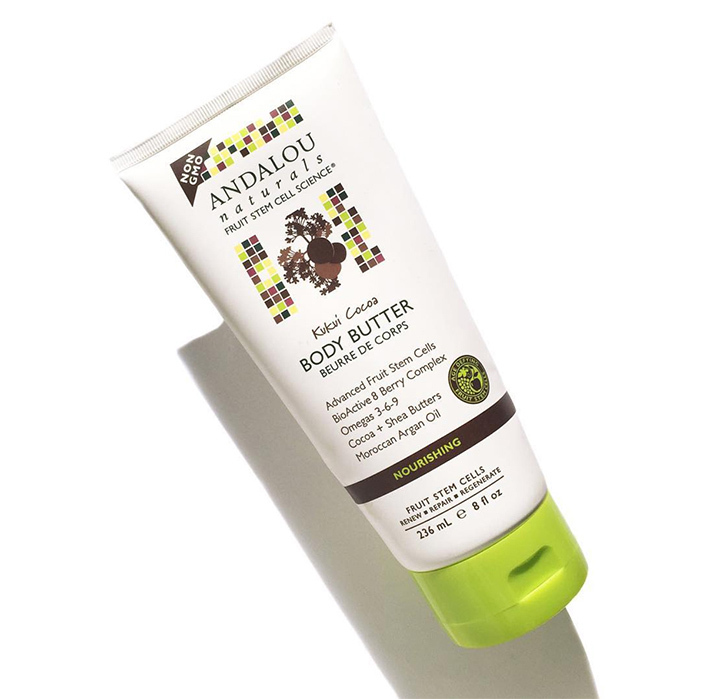 This year I was introduced to Andalou Naturals Kukui Cocoa Body Butter and now I can't be with out it. I like this body butter because it's not to thick yet it moisturizers really well. 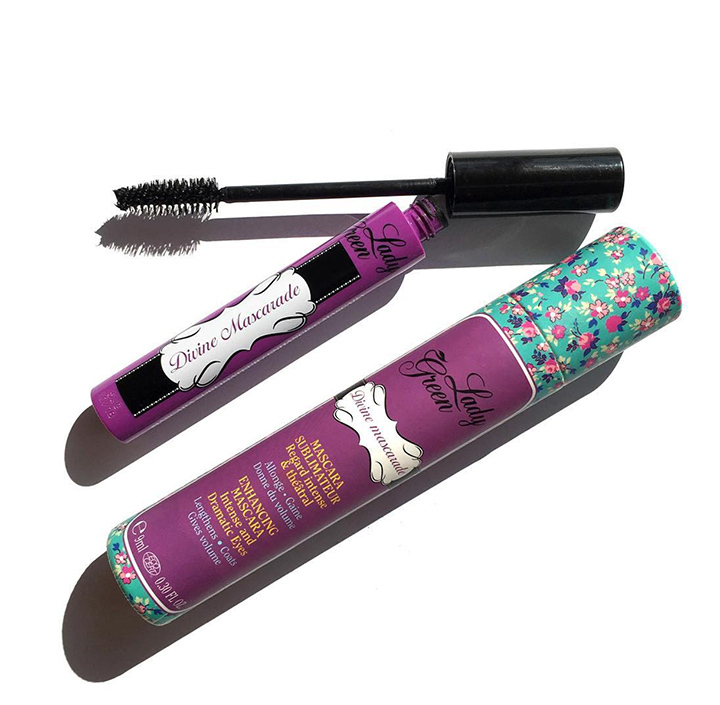 Plus it comes in a convenient squeeze tube and it smells like chocolate! I've tested a few eye creams last year but this one was the stand out for me. 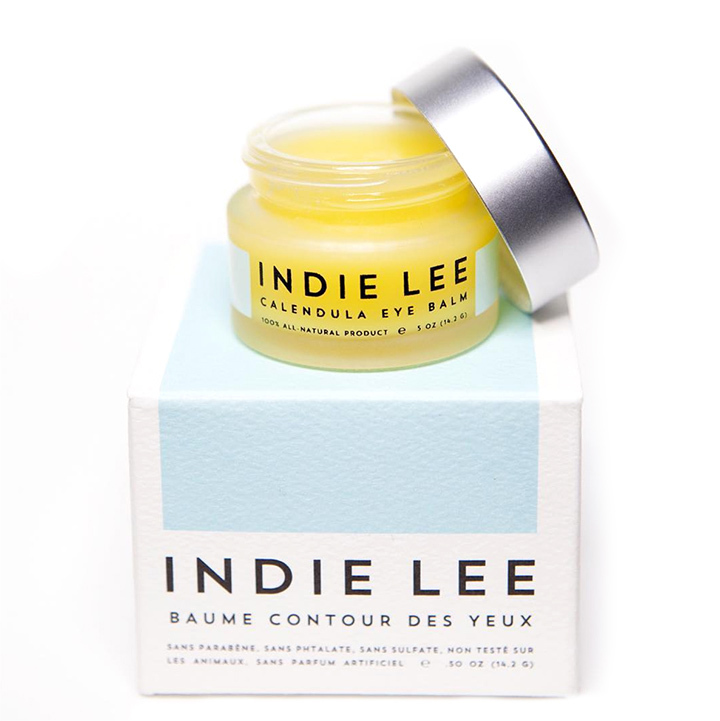 The Indie Lee Calendula Eye Balm is made with ingredients like calendula, mango and avocado oils so it does an amazing job of moisturizing the delicate eye area. I tried a sample of this mask last year and I was immediately hooked. Josh Rosebrook Cacoa Antioxidant Mask mask detoxifies, brightens and moisturizes the skin. I was shocked how soft my skin felt after the first use! Plus it smells like chocolate so it was love at first use. I've used a handful of deodorants this year and I keep coming back to my tried and true favorite, Crystal Body Deodorant. It is made with just one ingredient and scores a 1 on the Environmental Working Group Data Base. Plus it only costs about $5.00 and will last you all year. My new favorite fragrances are by the Hawaii based green beauty, Leahlani Skincare who is well known for her cult favorite Mermaid Mask. While I do enjoy that mask, I really love her fragrances. My go to perfumes are two of her organic creations: Mahana, a warm vanilla and coconut scent, and Pua Lei, which is a tuberose and puakenini flower blend. Every time I wear these fragrances, I am reminded of lovely memories of time spent with friends on tropical islands.